When you want the best party bus rentals Los Angeles and party bus rental San Bernadino, call Stars-R-Us Limousines for the ultimate in luxury and style. Stars R Us has the best party bus in LA. We also have party bus rental and limo bus service in Orange County OC,the IE and nearby cities with party buses of all sizes to safely transport 10, 20 or 30 of your closest friends. You can be sure of getting the best deal because have the best pricing of all party limo busses. We will meet or beat any legitimate quote for your party bus rental and limousine service. Call now 818-462-5907 to check availability of our limo bus for your party or event. In the last few years, limo bus rentals have become one of the big new things in the entertainment and nightlife club industries. You see limo busses all over big cities like Los Angeles, Hollywood and Beverly Hills. Now you can party like a rock star in The OC, IE, San Bernadino, Pasadena, Glendora and the San Gabriel Valley. Treat yourself and your freinds with	a coach or mini-size to big-size bus that has been converted into a luxury limousine. It has limousine style leather seats and facilities like a bar, a refrigerator, air conditioning, high end audio systems, LCD flat screen televisions, strobe and disco lights, even a stripper pole! A Stars R Us Party Bus Limo is the ultimate in style, elegance and fun! Our vehicle is a custom built limousine the size of a bus. Our limo bus is crafted of the finest materials by world famous Tiffany Coachworks and seats anywhere from 10, 20 or 30 people in luxurious leather. Stars R Us Party buses are also incredibly customizable to fit your event needs. You can bring your own CDs onto the limo bus and your own iPod as well as other MP3 players. You can bring DVDs on board the bus, and many party buses have flat-screen TVs installed, too. Call us now and let's discuss your needs and desires. When you book or reserve a party bus rental service, you get to create the schedule. You tell the company how many stops you want, where you want them, how long you want them for, and when you want them. Limo buses are not a typical mode of transportation. That is, a party bus rental is best when there a big event to plan. There are limo buses that cater to weddings, birthdays, Bar and Bat Mitzvahs, Sweet 16s, and many more events. Of course, you can hire the party bus limousine service simply for a night on the town if you so desire. When you're ready to say "I do", get on the Stars-R-Us Party Bus! We have the best, black on black party bus limo in town, perfect for your bachelor or bachelorette party! Our spacious limo bus can fit your entire crew, up to 30 people! It's like your own private nightclub on wheels! Best of all, leave the driving to us, and arrive to your luxurious destination stress free, on time and in style! Have a corporate meeting to attend to or just want to have a night on the town? Call us to book your party bus limo and arrive in luxury, elegance and peace of mind! Serving Los Angeles, Glendora, San Fernando Valley, San Gabriel Valley, the IE and San Bernadino. Use our Wedding Limo Service for your most important day in your life. Indulge yourself with our luxury limousines, perfect for carrying family members so everyone arrives safely and relaxed with a grand impression. Your Sweet 15 or 16 just got sweeter! We have the sweetest party bus limousines in Los Angeles, San Gabriel Valley and San Bernadino. Su dulce 15 o 16 anos acaba de conseguir mas dulce! Tenemos el autob�s mas dulce del partido para su evento! Special occasions such as proms, birthdays, wine tasting tours or just a night on the town are a part of our limousine rental service. Arrive in style and in a manner that you deserve. Also try our party bus rental los angeles for special occasions such as Bachelor or Bachelorette parties. All our limo buses are well maintained, clean and operated by experienced and professional drivers. All our drivers and	vehicles are fully licensed and insured. We employ multi-lingual drivers to accomodate you in the world class city that is Los Angeles. Along with a memorable event and a good time, our clients' safety and comfort is our primary concern. No event is too big or too small for Stars R Us Limousine. We can accommodate any size group, from an intimate dinner for two to an epic bachelor party of a lifetime. Few limo rentals in Los Angeles have access to the fleet of vehicles and the flexibility to fit your unique event that we have. Whether your limousine hire needs are for business or pleasure, you are always guaranteed a first-class limo rental service, 365 days a year from Stars R Us party bus LA. "One of the best party buses we have ever rented for our prom, it was new, big enough for 30 people and the driver was very friendly and took care of us from point A to B. Thank you so much for an awesome service! " Stars R Us will cater to your event anywhere, anytime. When you want the high style and luxury transportation that says you have "arrived", ride the Stars R Us party bus LA limo. For the best Party Bus rental in Los Angeles, call 818-462-5907. 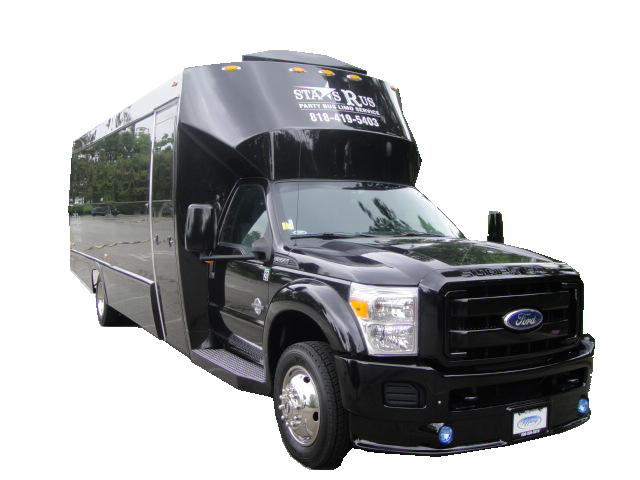 Stars R Us party bus rental knows what it takes to keep your party rolling safely and confidently for any occasion. Book your Party Bus LA now the easy Stars R Us way. We Will Meet or Beat Any Party Limo Price Quote! 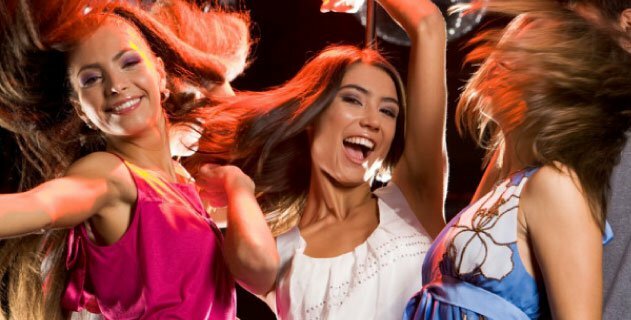 Party Bus Glendora | Party Bus Los Angeles | Party Bus San Bernadino | Limo Bus | Party Bus Alta Loma | How Much For Party Bus Rental?